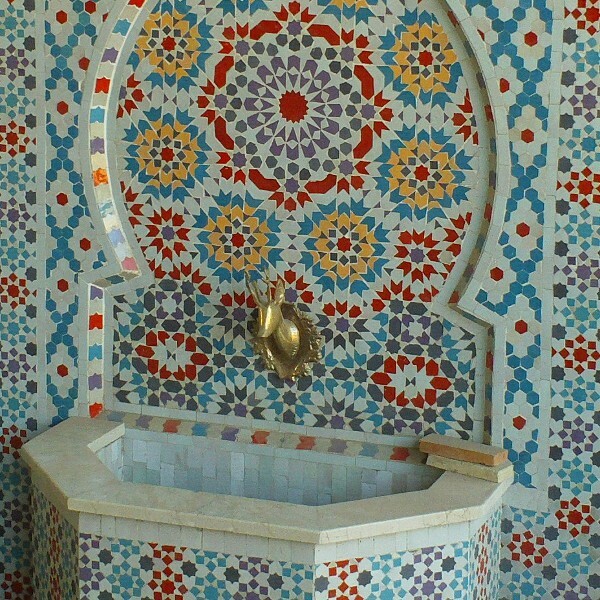 Moroccan wall Fountain made in Marrakesh by zellij artisans. 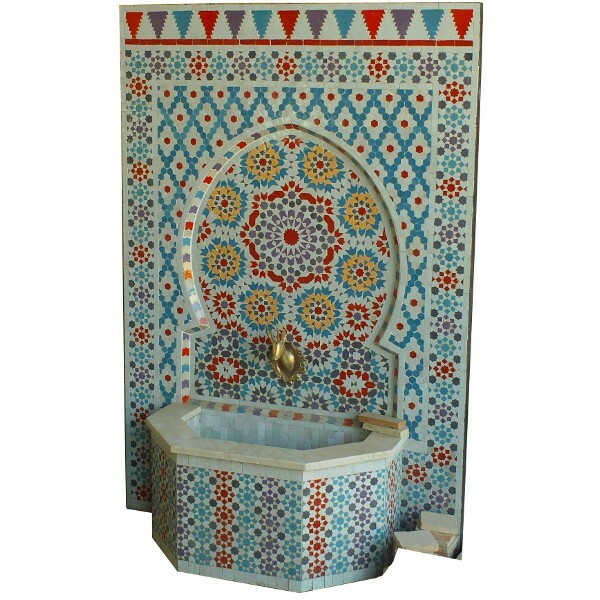 This Design Moroccan Fountain comes with a water pump using a closed system. 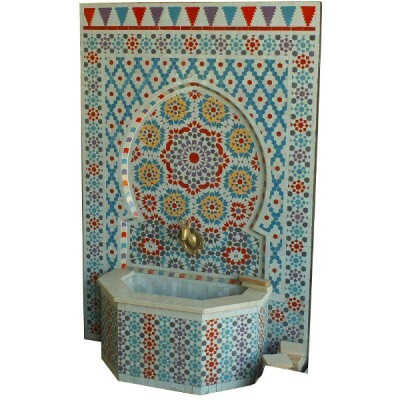 Just enjoy the water sound from your stylish fountain in your garden. 1 590,00 €	tax incl.